Born in Grand Forks in 1932 and partially raised in Rossland, former Trail high school teacher Neville Langrell (Bill) Barlee was one of the foremost historians of the B.C. Interior and an under-appreciated, formative, inspiring force in the evolution of B.C. publishing. "My paternal grandfather went up north for the Klondike Gold Rush," said Barlee, "And my maternal grandfather owned a general store in Cascade City, which is now a ghost town. I guess that partly explains, why I've been so interested in history." Self-described as a descendant of Canadian pioneer writer Susanna Moodie and a distant relative of Margaret Atwood, Barlee first entered the writing game when he published 6,000 copies of Similkameen, Pictograph Country in 1963. After selling out his print run with the help of his own roving sales trips (he loved to drive around the backroads with a trunk load of his books), Barlee produced local history titles such as Gold Creeks and Ghost Towns, A Guide to Gold Panning and West Kootenay: Ghost Town Country. Authordom encouraged Barlee to leave his teaching career and establish Canada West magazine in 1976. Early issues of this quarterly publication about B.C. history are now collector's items. 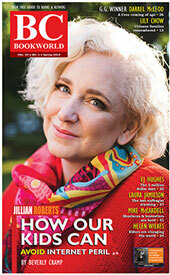 In its first few years, the magazine reputedly grew from a subscription base of 36 people to more than 1600. The magazine was eventually sold to Garnet Basque. Barlee was an intrepid collector of historical artefacts related to B.C. and the Yukon for much of his life. Private investors were once interested in a scheme to build a museum in Penticton to house Barlee's collection, during which time Barlee stored his prized artefacts in at least five different secret locations. Barlee had deep local roots in the B.C. Interior which led to enduring friendships with Okanagan school chums such as Socreds Bill Bennett and Lorne Greenaway. In a 1988 by-election, Bill Barlee was first elected as an NDP MLA in the traditionally conservative riding of Boundary-Similkameen. As a self-described 'moderate New Democrat' and 'an entrepreneur with a social conscience,' Barlee was able to draw votes away from other parties with his local reputation as an author and as a popular teacher of gold panning classes. "I'm certainly in the Socred heartland," he said, "But fortunately my books have led me into doing a regular TV program on CHBC [Gold Trails and Ghost Towns], and that let a lot more people in the riding know my name. Also it helps to be from a pioneer family." The other author in the B.C. legislature at the time was another avid self-promoter, the ever-smiling Bill Vander Zalm, author of The Northwest Gardener's Almanac (Hancock House). As B.C. Minister of Agriculture, Fisheries and Food from 1991 to 1993, Barlee introduced the "Buy B.C." campaign, resulting a Buy B.C. logo that appears on food products from B.C. 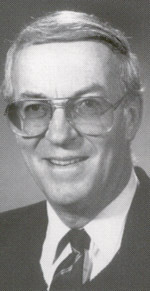 He also served as the provincial Minister of Small Business, Tourism, Culture and Film in British Columbia, 1993-1996 within the NDP government of Mike Harcourt, during which time he successfully advocated for the restoration of many historical provincial sites, including the Kettle Valley Railway. Mainly known as N.L. Barlee as an author and editor, he published under the name Bill Barlee for his Canada West series. As researcher, author and publisher of Canada West Magazine, Barlee became the lone interview guest for a long-running B.C. history program for Kelowna's CHBC-TV called Gold Trails and Ghost Towns, hosted by interviewer Mike Roberts. With Barlee always dressed in his "Canadian Tuxedo"; consisting of a denim jacket and pants, Gold Trails and Ghost Towns ran for ten years, from 1986 onwards to 1996, on five different networks, and continues in re-runs on various channels. "By the end of our 130 shows," Mike Roberts recalls, "he said he still had about thirty more stories he could tell without repeating a single line." Mike Roberts maintains Barlee's abilities as a storyteller were obvious, but it was his thoroughness as a researcher who always verified his stories that made him truly remarkable. "He was also a wonderful writer," says Roberts. "You can hear his voice in his writing. But what always impressed me the most was the way he checked his sources. He used to tell me there are hundreds of great stories out there, but 99% of them are b.s. He also had relatives all over the province. He was a very intelligent man who was rigorous in his research. Possibly his background as a history teacher has a lot to do with that. He wasn't interested in just spinning yarns. He wanted to serve and preserve history." Barlee once told Roberts that his penchant for collecting stories arose at age six when he befriended a old ex-miner in Rossland. "It was like he was born to it," says Roberts. Some of Barlee's extensive mining research collection is stored at UBC Rare Books and Special Collections. Samples of his valuable collection of more than 15,000 Old West artifacts, valued in the area of $1 million, have been shown on loan at the Museum of Civilization and other museums. Barlee tried unsuccessfully to enter federal politics for the Liberal Party in the Kootenay-Boundary-Okanagan constituency in 2000 after he had moved to Osoyoos from his long-time home base of Kelowna. In the early 2000s Barlee was working on a manuscript about South Central British Columbia, and researching Couer D'Alene, Idaho's silver belt. "Basically he was a social democrat," says Roberts. "He had quarrels with some aspects of the NDP and he had quarrels with the Liberals. But mainly he always wanted to help the little guy, people like farmers." Barlee was always keenly interested in preserving historical mining sites at small communities such as Sandon, Hedley, Beaverdale and Quesnel Forks. Highly protective of pioneer heritage, Barlee for a time refused to send copies of his magazine into the U.S. "The Americans were abusing Canadian historic sites," he told Valley Vistas magazine, "and I wasn't going to serve as a pointer for those of my American subscribers--definitely a minority --who wanted to use Canadian sites for their own monetary purposes." Conversely, he published Gold Creeks and Ghost Towns of Northeastern Washington in which he detailed six historic mining counties south of the border: Kittitas, Chelan, Okanogan, Ferry, Stevens and Pend Oreille. "During the several years of research and wandering through this region," Barlee said, "I once again familiarized myself with places I had known as a boy, 40 years ago... In passing I took in the atmosphere of the long deserted ghost towns and mining towns like Bodie, Molson, Addy, Curlew, Chesaw, Bossburg, Chewelah, Danville, Conconully, Keller, Loomis, Ruby, Winthrop, Roslyn, Old Blewett and half a dozen others." Tributes to Barlee's career as a writer, historian and politician were numerous after he died on June 14, 2012. It was Barlee's Canada West magazine that directly inspired Howard White to produce his own regional publication, Raincoast Chronicles, giving rise to Harbour Publishing, one of the foremost publishing houses of British Columbia. As well, Barlee was a catalyst for the growth of Sandhill Book Marketing of Kelowna, a successful book distribution company for independent authors--including himself--owned and operated by Nancy Wise. Former Penticton Museum director Randy Manuel illustrated some of Bill Barlee's books. "Bill Barlee, was a nugget, pure gold, remarkable in more ways than can be described," he says. "I first met Bill, as a wide eyed 12-year-old. In 1959 he was my art and gym teacher, yet he still managed to hold us all in the palm of his hand with tales of British Columbia's past. The most obnoxious student in any other class was held spellbound in Bill's room. There were no 'bad kids' when Bill had control. "Bill encouraged my drawing ability... the subject matter, of course, was always historical, no bowls of fruit, but artefacts from Bill's western collection, thus tales could be told while the techniques of artistic style were learned. "When Bill started CANADA WEST MAGAZINE in 1969, he invited me to provide some illustrations. This would be my first paid work. I made two bucks for each of the pencil/ink drawings! I was now 'professional'. "Over the years I illustrated in his publications, where Bill also promoted such great artists as Irvine Adams, Phil Clark, and Thomas McPhee, each one of us interpreting B.C. 's history in our own style. "Bill gave me the confidence to develop my own style of pencil, ink, and watercolour images of our vanishing landscapes. He also encouraged me to make a career out of history, wherein I became the Director-Curator of the City of Penticton's, R.N. Atkinson Museum and Archives. Like Bill, I left the museum world to go into politics. I chose municipal government where I felt I could make a difference to the local historical and cultural life of the city. "Bill also appointed me to the British Columbia Heritage Trust, where there was an opportunity to save, preserve, protect, publish and promote our own sense of place within Canada's history. It was a pleasure to work with Bill in the creation of the Kettle Valley Steam Railway, The Mascot Mines at Hedley, and my favourite, the historic ships at Penticton, S.S. Sicamous, Naramata, Okanagan (stern saloon section) and the CN #6 tug, all now part of the Okanagan Inland Waters Marine Museum. "Once while out prowling the canyon of the Tulameen river, we took a break to sit down to eat a sandwich and take By a cuppa coffee from our thermos. I smoothed out a spot to place my coffee mug, and there in the sand I found a small nugget, I picked it up and showed it to Bill who remarked that I was a good prospector. Over 50 years I have been 'mining' history, trying my best to preserve it. When I take out the little pill bottle to look at that nugget, I will always think of Bill Barlee, a nugget, a treasure in the life and times of British Columbia." Barlee, N.L. The Pictograph Country: Similkameen. S.l., 1966. Re-released as Similkameen: The Pictograph Country, self-published chapbook, 1978. Re-released as Similkameen: The Pictograph Country (Surrey: Hancock, 1989). Barlee, N.L. South Okanagan: The Sagebrush Country (Canada West, n.d.). Barlee, N.L. Gold Creeks and Ghost Towns: East Kootenay, Boundary, West Kootenay, Okanagan and Similkameen (Canada West Magazine, 1970? ; Canada West Publications, 1980; Hancock House, 1984). Barlee, N.L. The Guide to Gold Panning in British Columbia Gold Regions, Methods of Mining, etc. (Summerland: N.L. Barlee, 1972, 1974; Summerland: Canada West, 1977; Victoria: Canada West Publications 1979, 1980; Blaine, WA: Big Country, 1984; Hancock House, 1993). Barlee, N.L. (editor). The Best of Canada West (Langley: Stagecoach Publishing, 1978). Barlee, N.L. West Kootenay: Ghost Town Country (Canada West Publications, 1984). Barlee, N.L. Gold Creeks and Ghost Towns of Northeastern Washington (Barlee, 1988; Hancock House, 1999). Barlee, N.L. Lost Mines and Historic Treasures (Hancock House, 1993). [Alan Twigg / BCBW 2012] "Mining" "Publishing" "Gold" "Cariboo"
"I was first introduced to Bill years before I met him. My father bought his books from early on which meant I grew up with ones like Gold Creeks and Ghost Towns: East Kootenay, Boundary, West Kootenary, Okanagan and Similkameen. In the summers in the 1970s my family would try and find the places he described in his books. As a kid I dreamed of finding some of the lost treasures he talked about in his books. "; - Bernard von Schulmann, friend of Bill Barlee and fellow B.C. history enthusiast. Neville Langrell (Bill) Barlee was one of the foremost historians of the B.C. Interior and an inspiring force in the evolution of B.C. publishing. -- Randy Manuel, illustrator and former Penticton museum director. A former trail high school teacher who became a publishing pioneer, Bill Barlee was born in Grand Forks in 1932 and partially raised in Rossland. After selling out his print run with the help of his own roving sales trips (he loved to drive around the backroads with a trunk load of his books), Barlee produced local history titles such as Gold Creeks and Ghost Towns, A Guide to Gold Panning and West Kootenay: Ghost Town Country. Authordom encouraged Barlee to leave his teaching career and establish Canada West Magazine in 1976. In its first few years, the magazine reputedly grew from a subscription base of 36 people to more than 1600. Early issues of this quarterly publication about B.C. history are now collector's items. The magazine was eventually sold to publisher Garnet Basque. In a 1988 by-election, Bill Barlee was first elected as an NDP MLA in the traditionally conservative riding of Boundary-Similkameen. As a self-described 'moderate New Democrat' and 'an entrepreneur with a social conscience,' Barlee was able to draw votes away from other parties with his local reputation as an author and as a popular teacher of gold panning classes. As B.C. Minister of Agriculture, Fisheries and Food from 1991 to 1993, Barlee introduced the "Buy B.C. "; campaign, resulting a Buy B.C. logo that appears on food products from B.C. He also served as the provincial Minister of Small Business, Tourism, Culture and Film in British Columbia, 1993-1996 within the NDP government of Mike Harcourt, during which time he successfully advocated for the restoration of many historical provincial sites, including the Kettle Valley Railway. Mainly known as N.L. Barlee as an author and editor, he published under the name Bill Barlee for his Canada West series. With Barlee always dressed in his "Canadian Tuxedo"; consisting of a denim jacket, Barlee was the lone interview guest for a long-running B.C. history program for Kelowna's CHBC-TV called Gold Trails and Ghost Towns, hosted by interviewer Mike Roberts. It ran from 1986 to 1996, on five different networks, and continues in re-runs on various channels. Barlee told Roberts his penchant for collecting stories arose at age six when he befriended an old ex-miner in Rossland. Some of Barlee's extensive mining research collection is stored at UBC Rare Books and Special Collections. Samples of his valuable collection of more than 15,000 Old West artifacts, valued in the area of $1 million, have been shown on loan at the Museum of Civilization and other museums. After he moved to Osoyoos from his long-time base of Kelowna, Barlee tried unsuccessfully to enter federal politics for the Liberal Party in the Kootenay-Boundary-Okanagan constituency in 2000. Barlee was always keenly interested in preserving historical mining sites at small communities such as Sandon, Hedley, Beaverdale and Quesnel Forks. Tributes to bill barlee's career as a writer, historian and politician were numerous after he died in Victoria on June 14, 2012. "I first met Bill, as a wide eyed 12-year-old,"; says Randy Manuel of Penticton. "In 1959 he was my art and gym teacher, yet he still managed to hold us all in the palm of his hand with tales of British Columbia's past. The most obnoxious student in any other class was held spellbound in Bill's room. There were no 'bad kids' when Bill had control. "It was a pleasure to work with Bill in the creation of the Kettle Valley Steam Railway, The Mascot Mines at Hedley, and my favourite, the historic ships at Penticton, S.S. Sicamous, Naramata, Okanagan (stern saloon section) and the CN #6 tug, all now part of the Okanagan Inland Waters Marine Museum. Barlee was a catalyst for the growth of Sandhill Book Marketing of Kelowna, a successful book distribution company for independent authors such as himself, owned and operated by Nancy Wise. It was Barlee's Canada West Magazine that directly inspired Howard White to produce his own regional publication, Raincoast Chronicles, giving rise to Harbour Publishing, one of the foremost publishing houses of British Columbia.